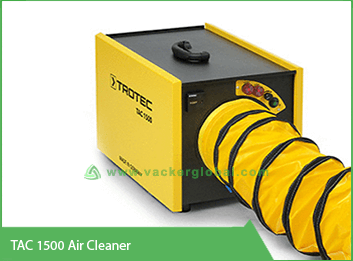 Air cleaners are devices which are used to remove pollutants present from the air in a confined space. The devices pull and trap the contaminants into a device thus making the air that we breathe relatively fresher. 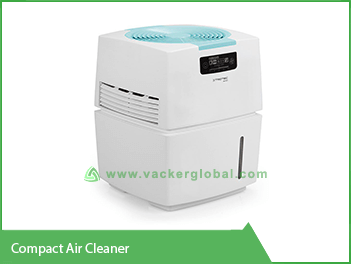 We, Vacker KSA, have been contributing in making city’s air fresh for use. In order to do so we have been supplying air cleaners to the major cities of KSA which include Dammam, Riyadh, Al Khobar, Jeddah, Jubail, Medina, Najran, Mecca, Khamis, Mushayt, etc. These devices are generally more beneficial for use by the people who have common allergy problems and for those who have the problems of asthma. In rooms or any other public spaces, these devices are more effective in reducing the tobacco smoke present in the air. Majority of the air cleaners that are manufactured and marketed by us are both small units of air cleaners and large units of heavy duty air cleaners for industrial purposes. Generally in the industrial purposes, these air purifiers are used for removing impurities from the air like Carbon dioxide (CO2) before starting relative industrial processes. Commonly, in these processes pressure swing absorber or other absorption methods are used. There are many active allergens present in the air that trigger allergies to many people and some of the most common allergens are dust, mold spores, dust mite feces and pollens. Smoke can impose great health risk to living beings. Exposure to such agents can deteriorate the health of a numerous people. Hence considering this fact, air cleaners have been occupying a larger market in our country. 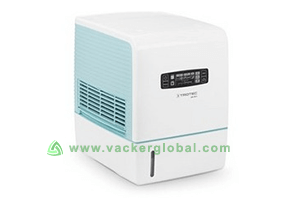 Vacker KSA supplies modern air cleaners that have the potential of capturing a large number of bacteria, viruses and other DNA damaging particles. Some products produce gaseous by-product which are hazardous to the environment. Generally ozone is produced by some ionizing air purifiers but only in very small quantity (less than 0.05 PPM). Not every product comes with a silencer hence there are noise related issues with some products. However the noise level of these devices is very less, despite the absence of silencers, in comparison to many other household appliances. Sometimes the consumers might need to replace the filters too frequently depending upon the usage of the devices. This can be a major concern for the consumers as it is directly related to cost and time. However Vacker KSA supplies with purifier filters that can be washed or vacuumed before using it again for a multiple number of times. As we all know that these devices must be powered with some energy sources. In these cases, electricity is the most common source of energy. The rate of energy consumption is high for some devices especially for heavy duty air cleaners. This too might be a matter of concern for the consumers. But Vacker KSA has a solution for that too. 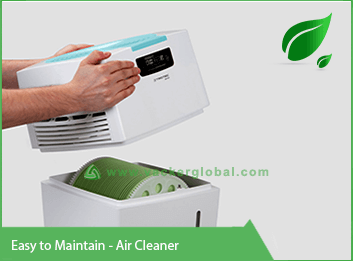 We supply some very energy saving air purifiers. If the air has been well purified or not. If it has covered an efficient area of application or not. If the air has been purified in lesser time or not. If the device has a low energy consumption rate or not. If the cost of the filter replacement is going to be economical or not. If the noise production level of the device is low or not. Basically, in association with ionic air purifiers as an example, these air purifiers have possible hazards along with a list of health benefits. During the process of air purification, most of the air cleaners produce some level of ozone and small amount of NOx. It is because of the nature of ionization process involved in air purification, ionic air purifiers generate more ozone than other air purifiers. It is a matter of grave concern if the amount of ozone increases in the atmosphere. Ozone in itself is considered to be an air pollutant. In a poorly ventilated room, you can find ozone in excess. Although we have heard that ozone layer filters the harmful radiation from the sun, but breathing ozone is not considered beneficial. There are many hazardous impacts of ozone on human health if it is present in excess in the air that we breathe. Some of the common problems observed in human health because of ozone breathing are chest pain, damage of lungs, coughing, throat irritation, shallow breathing, etc. If you are suffering from any respiratory diseases then it worsens such diseases.